Just discovered My Old Bicycle the other day and it’s got some amazing vintage bicycles for sale. This 1947 Ganna is a front runner looks wise. 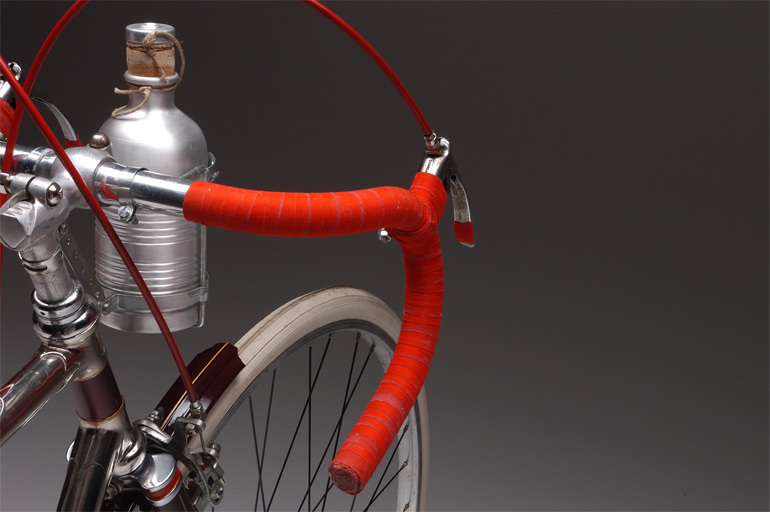 The water bottle alone is a work of beauty. 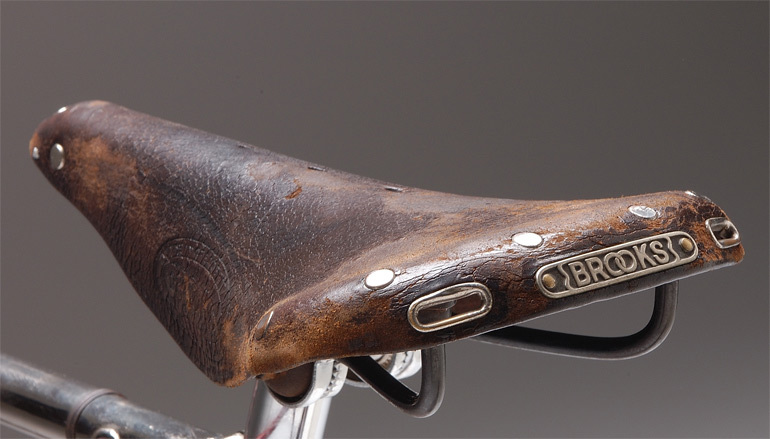 This bicycle participated at the Eroica 2007. 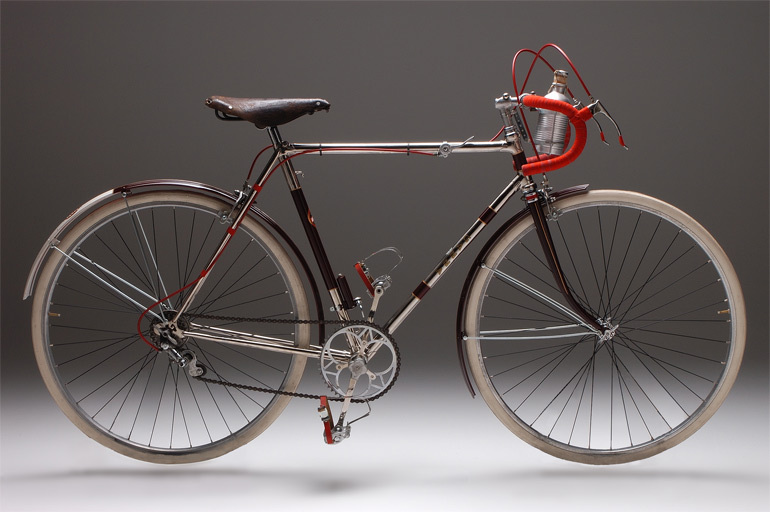 The frame is from 1947,model “Giro d’ Italia”. 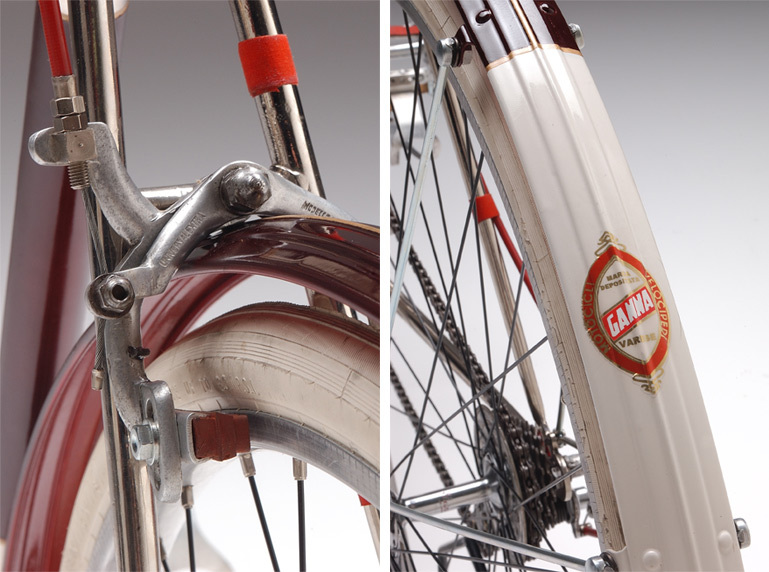 On request it was equipped with aluminum fenders and it was called “whole model” because the piece after the front brake wasn’t divided. 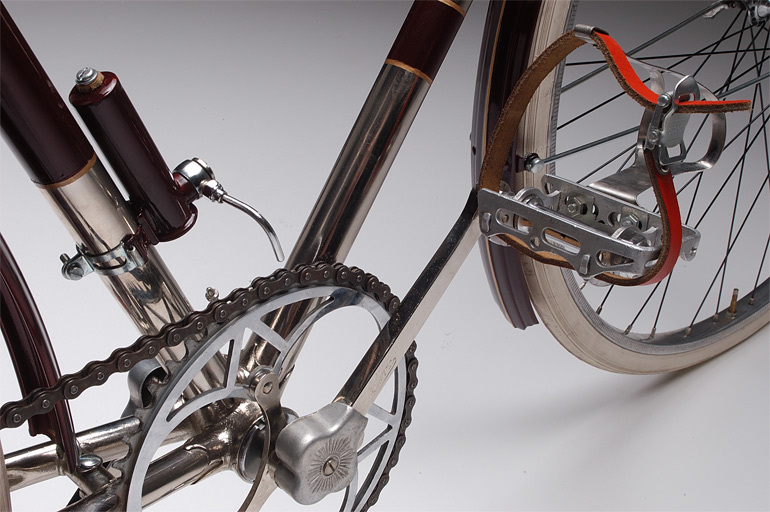 The frame has been sandblasted and nickel-blasted, block painted,color Metalized Oxblood,pure gold threads and white strip on the rear fender.